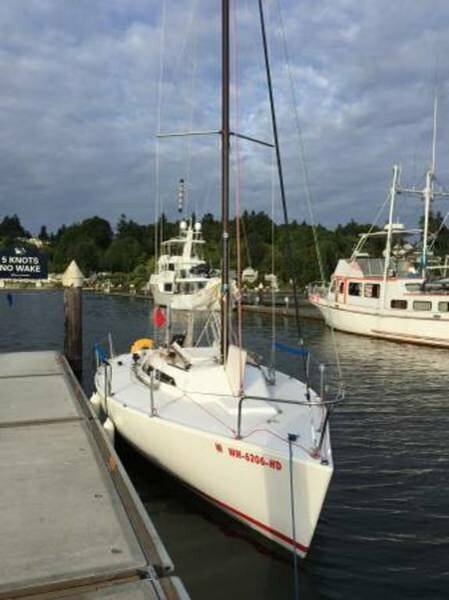 Boat is located in Olympia,WA..Please contact the owner @ 360-250-6172. 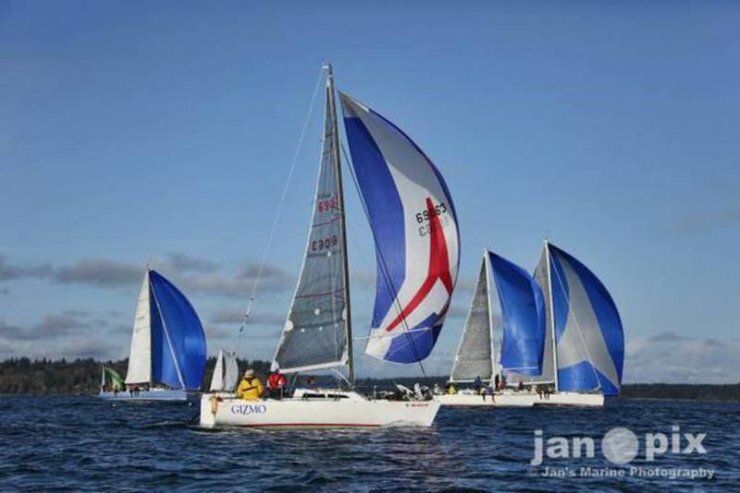 Competition included a J-24, an Olson 25, an S2 7.9m, a Santana 20, a Santana 23, a Thunderbird, a C and C 29, a Ranger 32 (IOR), and a variety of cruising boats. 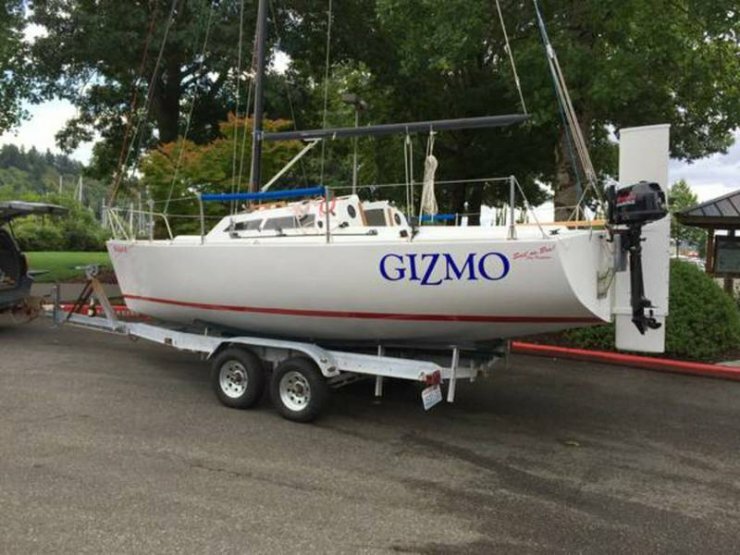 The secret to sailing this boat fast is to sail her flat. Change down or reef early. Once she exceeds about 20-25 degrees of heel, she picks up a lot of leeway. And dont sail her DDW, especially when the wind is up. Im looking to trade up to a larger cruising boat such as a Freedom 30 or 32, or maybe a Nonsuch 30. Ive been racing all my life. Its time for a new chapter. The inland passage to Alaska beckons! Im asking $12,000, which is about half of what I recently dumped into her for her restoration. The Harmony 22 is a light air flyer. 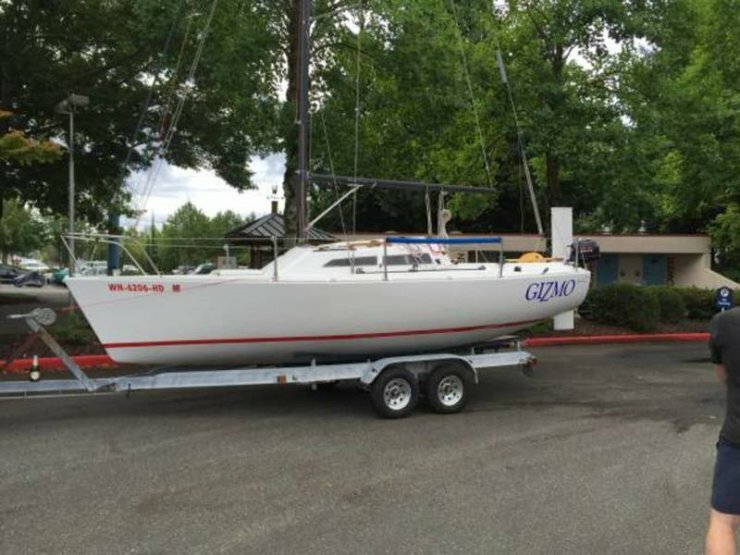 She has a daggerboard, which facilitates dry sailing and maintaining a perfect racing bottom. Plus, dry sailing costs about a third of what moorage would cost. 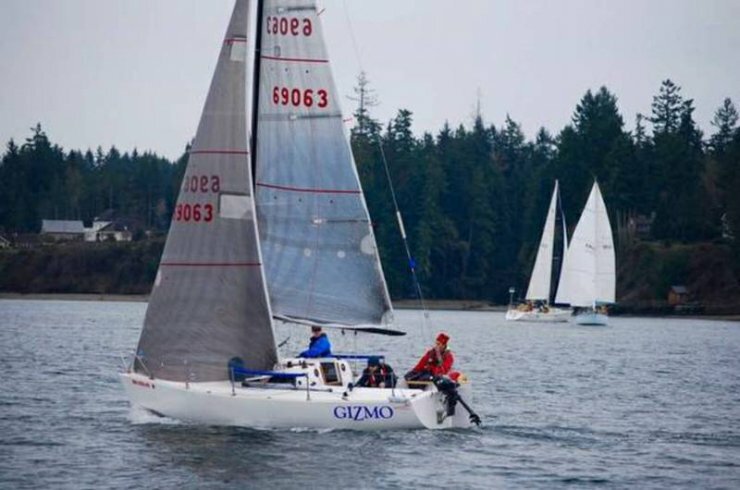 Gizmo races in the South Sound Sailing Society (SSSS) races in Budd inlet, which is notorious for lighter wind. Her round bottom provides minimal wetted surface for light wind speed, unlike a planing hull. She will actually plane in over 15 knots of breeze. Ive seen 8 plus knots on the speedo several times. In a good breeze with the J2 up, she will go to windward at over 6 knots! For a 22 boat, thats fast. 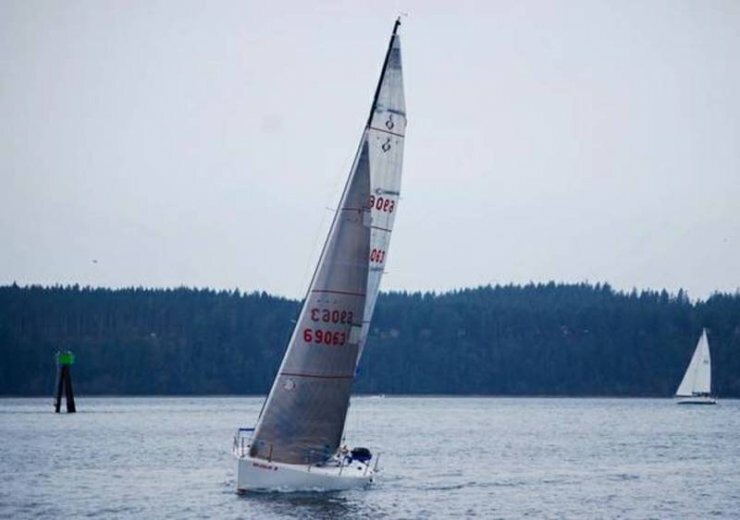 She rates 201 PHRF. 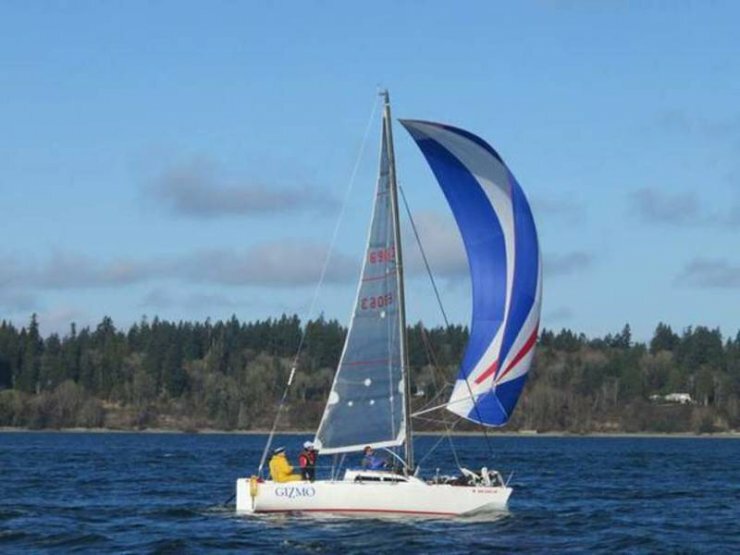 In light air or even medium air with flat water, she can always sail better than her rating. Ive had luck in higher wind as long as the water is flat. Its chop that ends up slowing her down. Thats where the bigger, more expensive boats get away from me. I made the jib fairlead cars adjustable from the windward side so you can play them puff by puff without leaving the high side. That extends the usable range of the jibs by allowing you to dump off the top third of the sail in puffs. I spent over $24 grand on her total restoration in 2015, and shes as good as brand new or even better. I upgraded her rig with a carbon fiber, double spreader mast with both a full height spinnaker halyard and a fractional halyard. Your choice. Also she has dual jib halyards and a Harken luff foil, so bare-headed sail changes are a thing of the past. I fitted her out with a new suit of North 3DL sails (way over-kill for a 22 boat - theyre bullet proof). And I have a killer drifter by North (Won a lot of races with that!) All of the deck hardware was replaced except the cabin top winches, which I rebuilt. She has a custom dagger-board style rudder. I stripped her down, replaced all the windows, resealed the hull/deck joint, painted her with a two-part linear polyurathane, resealed every fastener, and refaired and polished her bottom. Her bottom is wet-sanded to 400 grit from mast forward (laminar flow zone), and 220 grit aft of the mast (the turbulant flow zone). Also bought a new outboard and overhauled the trailer.Please call or email for full specs.